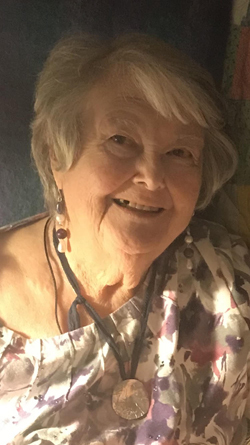 Evelyn Jean Nagy, 93, of Williamsport, passed away peacefully Saturday, Jan. 6, 2018, at the Williamsport Home. Jean was the wife of Andrew W. Nagy Sr., who she shared 71 years of marriage with before his passing on May 21, 2017. Born July 6, 1924, in Shamokin, she was a daughter of the late David W. and Ida Mae (Shipman) Burket. Jean was a graduate of Williamsport High School Class of 1942 and furthered her education at Easton Hospital School of Professional Nursing. She served in the nurse cadet corps during World War II. Jean retired after 30 years of service from Lycoming County providing care and compassion to the patients entrusted to her care. A highlight of her career came during her time at Sycamore Manor, Williamsport when her supervisor asked her to name the road for the area being cleared for the present day Loyalsock Creek Nursing and Rehab facility. She chose Sycamore because of the many Sycamore trees that outlined the area. Jean was a member of New Covenant Church of Christ where she helped as needed and was active throughout the years. She is a life member of International Laureate Epsilon PI chapter sorority of Beta Sigma PI. Jean was a member of the Williamsport Billtown Red Hat Society and also served on various community committees. Surviving are four children, Andrew W. Nagy Jr. (Pamela), of Montoursville, Thomas F. Nagy (Karin), of Montoursville, Daniel M. Nagy (Kevin), of Reston, Va., and Lenora Lynn (Jeffrey Sr.), of Berwick; eight grandchildren; and 14 great-grandchildren. In addition to her parents and husband, Jean was preceded in death by three brothers, Franklin, David and Charles Burket. A memorial service to honor Jean’s life will be held 11 a.m. Thursday, Jan. 11, 2018, at New Covenant Church of Christ, 202 E. Third St., Williamsport. Burial will follow in Wildwood Cemetery. A visitation will be held from 10-11 a.m. prior to service at church. In lieu of flowers memorial contributions in Jean’s name may be made to New Covenant United Church of Christ c/o Christian Education Fund, 202 E. Third St., Williamsport, PA 17701.